A woman confined to her parents' home because she married a Muslim should be removed from her father's custody and allowed to finish her studies, India's top court ruled Monday. Akhila Ashokan's marriage to a Muslim man was nullified against her wishes earlier this year at her Hindu father's request. 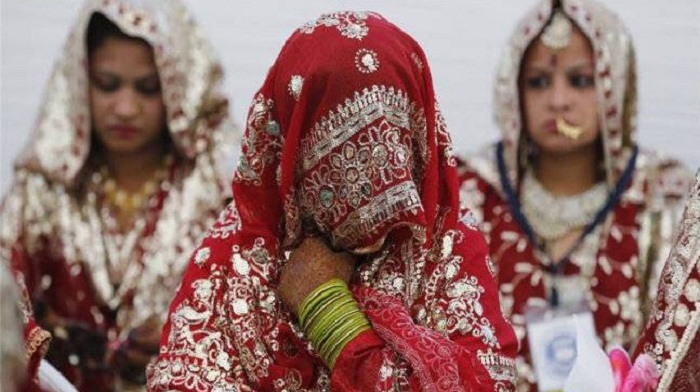 Women's rights campaigners were outraged by the decision made by a Kerala court in May to dissolve the 25-year-old's marriage and force her to return home to her parents. Ashokan converted to Islam but insists she was not forced to do so -- a flashpoint issue for nationalists in Hindu-majority India. She has not been allowed to leave her father's house since the marriage was annulled, interrupting her studies. The case was heard in the Supreme Court on Monday after her husband challenged the decision to nullify their union. "I want my freedom, release," said Ashokan, who changed her name to Hadiya after converting and marrying in December last year. "I must be given consideration as a human being. I desire to see my husband. I have been in unlawful custody." The panel of Supreme Court judges ordered she return to live at her college in Tamil Nadu and appointed the campus dean her guardian, which she rejected. When the woman asked if her husband could act as her guardian, the bench did not answer, replying: "You will live as per the hostel rules". The court deferred a decision on the legality of their annulled marriage. Inter-religious relationships are still taboo in India, particularly in rural areas. India's federal investigations agency has said it is looking into alleged links between her husband Shafin Jahan and extremist groups. He has not been convicted of any crime and the case has been adjourned until January.